I reviewed Sample Logic’s hugely impressive Cinematic Guitars Infinity library back in the December 2015 issue of SOS. 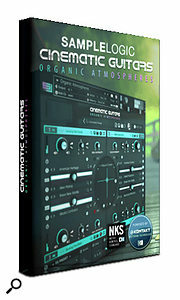 While the library has a hefty price tag to go with its hefty sample base, it also features the sophisticated ‘sound core’ front end for Kontakt that allows you to blend up to eight individual sounds, apply all sorts of modulation and effects to them and includes some very creative step-based pattern-sequencing options. And, with the high quality of the underlying sounds — all originally derived from a guitar of some sort — offering combinations of pads, ambiences, rhythmic elements and playable instruments, this is a library that I’m sure has found its way into the studios of many working media composers. 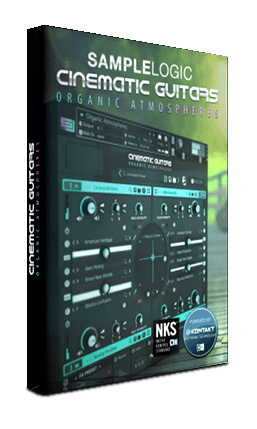 Infinity was built on three separate ‘Cinematic Guitars’ libraries, and obviously Sample Logic thought there was still some further mileage in the format as they have added Cinematic Guitars Organic Atmospheres to their catalogue. This is a separate library to Infinity but does use the same front end. Registered Infinity owners can also get a substantial discount on the list price. As the title suggests, all the sound sources are again guitar-based, but their treatment here is very much aimed at providing a further palette of pad, ambience and soundscape-style sounds. With 300 such sounds created from around 5GB of sample content, and over 500 single-core and multi-core presets, there are plenty of options to explore. The sounds are organised into a number of categories — Bizarre, Dark/Mysterious, Mixed Emotions, Stingers and World Organic — although, as with any pad/ambience-type sounds, these sorts of groups are something of a personal matter. However you might choose to characterise the sounds, they are definitely full of character and quality; these are sounds that could grace any top-end media or film production. And the excellent front end provides almost endless ways to combine and manipulate the underlying samples. While the emphasis is very much on extended, evolving, atmospheric sounds, the Stingers group adds some very engaging impact-type presets. These are not your more typical booms, explosions or drum hits — they are more melodic and sustained than that — but they would still work great for ‘hit points’, transitions or to bring a cue to a sense of conclusion. Infinity is a larger library than Organic Atmospheres, with a somewhat more diverse range of core sounds that includes a good number of atmosphere-type presets. Organic Atmospheres would, however, make a great addition for existing Infinity users, especially given the discounted price offered. For new purchasers, perhaps the only downside is that, like Infinity, Organic Atmospheres comes with a price tag that will challenge those on a tight budget. Amongst professional composers, though, I think Sample Logic will find a ready market for another high-quality sample library/virtual instrument.